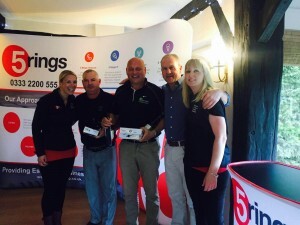 On Wednesday 1st June we revisited a South Coast Golf Tour favourite – The 5 Rings Telecom company golf day at Gatton Manor Golf Club. Yes, they loved the last five years as a fixture on the Tour so much that they came back again, and the sixth year was just a successful as the first five. Additional games are an anticipated feature of the 5 Rings Telecom company golf days, and this year was no different with all teams taking part in ‘The Mystery Ball’. Players take it turns, hole by hole, to use the coloured ball. The aim of the game is to score the most points using this ball – before you lose it of course! 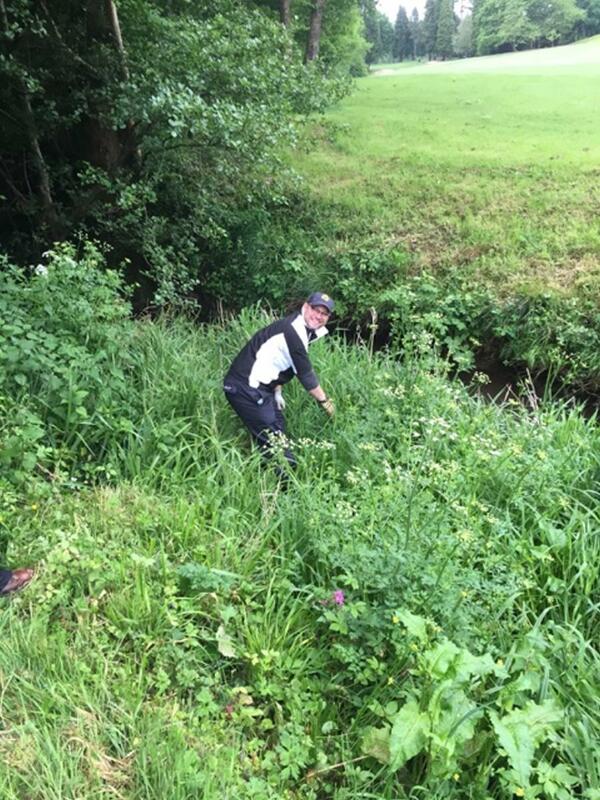 And some teams went to great lengths to avoid the embarrassment of losing their mystery ball, see Ian MacKendrick from Frenkel Topping wading through the weeds to find his. Despite his best efforts his team still fell behind, leaving it to Peter Raynsford (5 Rings Telecom), Harvey Osler (ODT Solicitors), Chris Sewell (Active Information Systems Ltd) and Trevor Weare (Active Information Systems Ltd) to take the prize. Congratulations to Adam Westwood (Titan Scaffolding) who was two points clear of second place Abee Hameed (Ashtead Stores) and third place Nick Dumbleton (ETI.) Not only did he impress in the individual competition but he helped his teammates Jason Harfield (Orion Lightning Protection) and Ian MacKendrick (Frenkel Topping) rise to the top of the team competition. Being home to the longest hole in the South East of England, a back-breaking 645 yard, Gatton Manor provides the opportunity for a unique competition, ‘The Longest Drive’. As players lined up to hit the ball as far as they could down the fairway, this year it was Tony Harvey (Dynamic Cloud Services) who was able to beat last year’s winner, our very own Tour Director, David Fluke. See all of the results from the day here. Round four of the 2016 South Coast Golf Tour will take place on Tuesday 21st June at Piltdown Golf Club for the UHY Hacker Young and uPhotogifts joint company golf day. 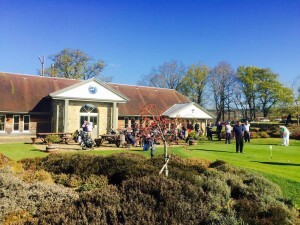 Secure your place for Tuesday 21st June at Piltdown Golf Club today or contact David on 07881 810847 or via david@sc-golf.co.uk to find more about how becoming part of the South Coast Golf Tour could benefit your business. 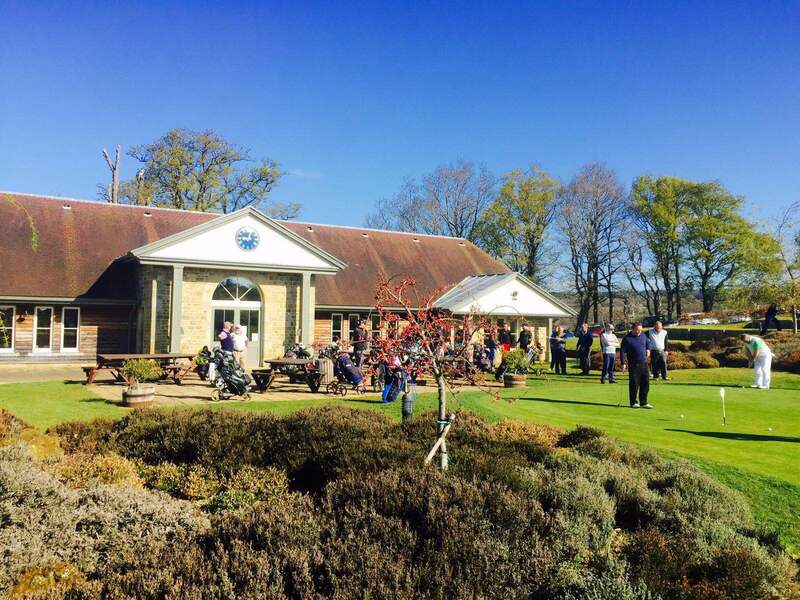 New to the South Coast Golf Tour line-up this year is Ifield Golf Club, the tricky parkland course on the outskirts of Crawley, West Sussex. On the Friday 13th May it played host to the Carpenter Box company golf day, where Carpenter Box’s guest list of highly valued clients came together with our own South Coast Golf Tour season ticket holders, to put into place some foundations for fruitful business relationships whilst battling it out with each other on the golf course. Congratulations to the event champion Peter Crown (a Carpenter Box Guest) and the winning team consisting of Graham Terry (Carpenter Box), Paul Froome (Sussex Transport) and Nigel Davidson (PDT Solicitors). We are now two events into the 2016 Tour, so let’s take a look at how the competition stands at present. After round two, we have two leading contenders in the Order of Merit race; Robin Keeler (M R Electrical Services Guest) at the Cowdray GC event, and Peter Crown (Carpenter Box guest) from the last event at Ifield GC with 10 points each. Out of our season ticket holders, it is Derek Steel (Jacobs Steel) and Ian MacKendrick (Frenkel Topping) who are leading the way for the rest with 9 points apiece. See the full order of merit results lists here and watch this space to see how the rest of the year unfolds. The charity putting competition never fails to sprinkle some fun on our day of golf and it raises money for a great cause, supporting the charity dizzy: support for diabetes. Even the best golfers can be caught out on the putting green, but so far the two tour players to master the challenge are Jools Chaffer (dizzy: support for diabetes) and Nigel Lee (CF0 solutions.) But will they keep the edge throughout the year? Keep up-to-date with all the latest scores here. 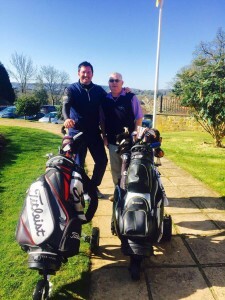 Round three of the 2016 South Coast Golf Tour will take place on Wednesday 1st June at Gatton Manor Golf Club for the 5 Rings Telecom company golf day.  Book your ticket for Wednesday 1st June at Gatton Manor Golf Club today or contact David on 07881 810847 or via david@sc-golf.co.uk to discuss more opportunities for your business on the 2016 Tour. As dawn broke on Friday 23rd October, who could believe that another year on the South Coast Golf Tour had almost come to an end? 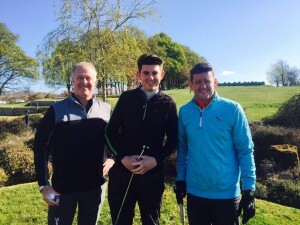 But not before the UK’s leading health insurer, WPA Health Insurance, had hosted their Company Golf Day following the success of their client hospitality day in 2014. Yes, the most valued clients of WPA Health Insurance and our very own Tour members took to the greens one final time for the ultimate event of our 5th anniversary Tour. This time it was the testing bunkers and challenging range of mature trees at Old Thorns Manor Hotel Golf and Country Estate that stood between them and victory. And just when everyone thought it was almost over, we threw a double-points twist into the mix for the race to become the 2015 Tour champion. That’s right, every player’s score from Old Thorns was doubled, opening up the competition and placing 10 players in the running for Tour champion – but who would come out on top? Well, it was congratulations to Peter Raynsford from 5 Rings Telecom, who might have gone into the final round of the championship as an underdog but who played his way to the top – making him a two-time South Coast Golf Champion, with victories in both 2011 and 2015. What a fitting way to end our 5th anniversary year with our first winner coming back to reclaim the prize. Thank you to everyone that has taken part in the Charity Putting Competition throughout this year’s Tour – you have all helped to raise a grand total of £1406 for our charity sponsor, dizzy: support for diabetes. And congratulations to Jason Harfield from Orion Lightning Protection who was named the 2015 charity putting champion! The day didn’t end when the golf did – there was still the Tour Final Party to come. Many of the day’s participants stayed for a fantastic evening’s entertainment to celebrate another successful year. There was an indulgent three-course dinner, entertainment from the sensational Queen B tribute band, followed by a disco. How we are going to top this next year we just don’t know! What we do know is that such a successful year on the Tour wouldn’t have been possible without such a strong network of continued support, belief and sponsorship from so many businesses. So a special thank you this year to Carpenter Box, 5 Rings Telecom, Orion Lightning Protection, Unibind, UHY Hacker Young, WPA Health Insurance, dizzy: support for diabetes and all of our Tour members. 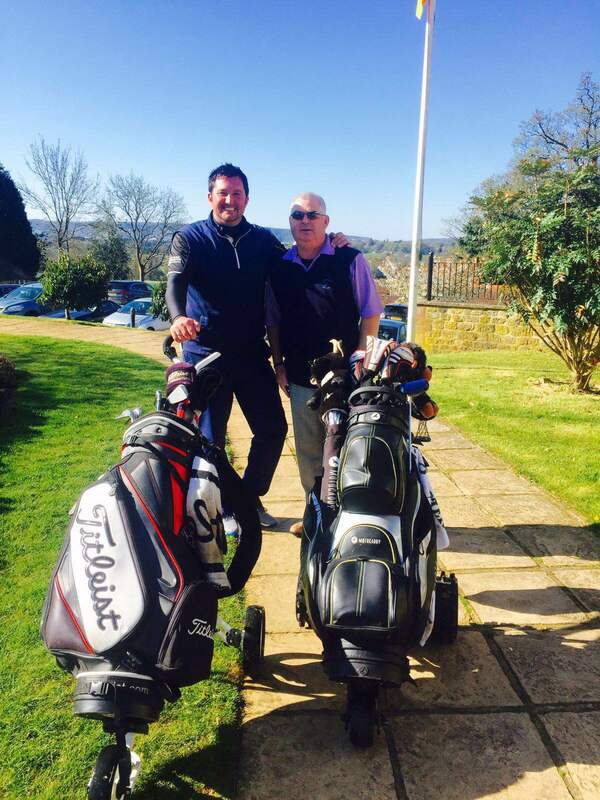 Planning has already begun for the 2016 Tour and Company Golf Day slots are being booked up fast. 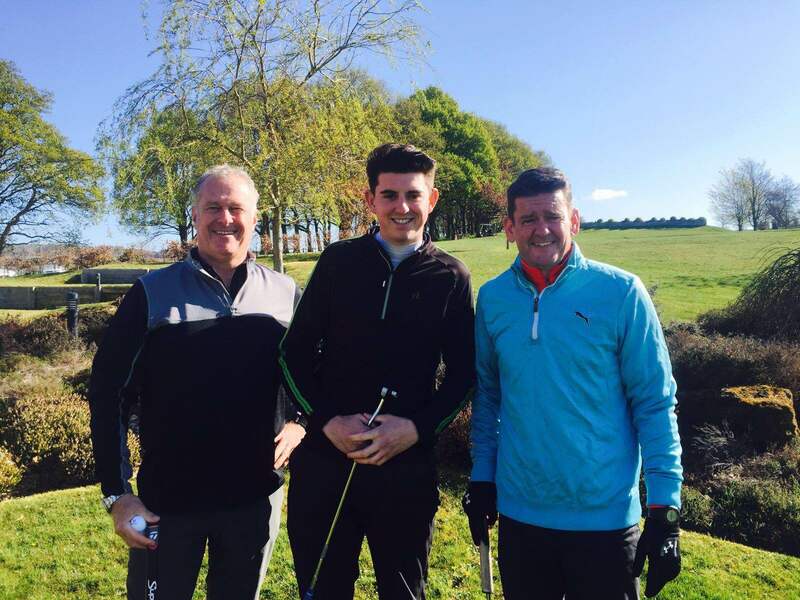 If you are interested in the benefits that hosting a company golf day on the Tour can yield for your business, contact Tour Director, David Fluke, on 07881 810847 or via david@sc-golf.co.uk. Did you hear about the great battle of Piltdown? Yes, Thursday 24th September will go down in history as the day two fiercely competitive business owners mustered their armies of most-valued clients to compete against each other on the hard and fast heathland of Piltdown Golf Club, whilst making some crucial allies along the way. It was, of course, the Unibind and UHY Hacker Young joint Company Golf Days on the South Coast Golf Tour. Who would be victorious – the UK’s leading specialist of binding and presentation products or the challenging chartered accountants? Contrary to the normal 2 from 4 team scoring system employed on the Tour, at this event players were representing the company that had invited them, so the best 10 scores were collected from each team. Although a South Coast Golf Tour team did enter, they just didn’t have what it took on the day and it was only ever really a battle of two teams. After a very close round, beating Unibind by an impressive 7 points in the end, it was UHY Hacker Young who rose to victory, winning a bottle of wine and a set of golf balls each – better luck next year Unibind. As if the competition wasn’t hot enough, Unibind director Tsolag Keoshgerian and UHY Hacker Young director, David Guest decided to raise the stakes – the person on the losing team had to donate £25 to the Tour’s chosen charity, dizzy: support for diabetes. Just to make things even more interesting, they then both had to predict a winner and, based on their chosen player’s result, they had to pay double or quits to the charity. In the end, both Tsol and David donated £25 – some good fun to raise money for a great cause. Perhaps the reason why UHY Hacker Young managed to fight their way to the top could have been down to more of their players testing out the MT Sport mobile massager from MassageTechT, a piece of fitness equipment on exhibition at the event. There was certainly a lot of interest drummed up around how this handheld vibration massage therapy device could improve golfing performance when used as part of a warm-up. Congratulations to 1st place winner, UHY Hacker Young guest Ray Charmak from River Oaks Homes Ltd. His superb score of 37 won the chance to play with Tour Director, Dave Fluke, at Stoke Poges Exclusive Champions golf day – as well as a bottle of wine and some golf balls of course. Click here to see the list of winners from the day. Simply attending this buzzing event meant everyone was a winner, because of the opportunity to meet and build relationships with such a large number of people from a diverse range of businesses. The future business opportunities to come out of these relationships will be the prize! With just one event to go now, this is your last chance to get involved in the 2015 South Coast Golf Tour – don’t miss out! Secure your place now, or contact Dave on 07881 810847 or via david@sc-golf.co.uk to find out how the Tour could benefit your business in 2016.